Sage on the balcony is growing visibly. Strangely is one of those herbs that I use very little, if not in the classic preparations like butter&sage or saltimbocca. 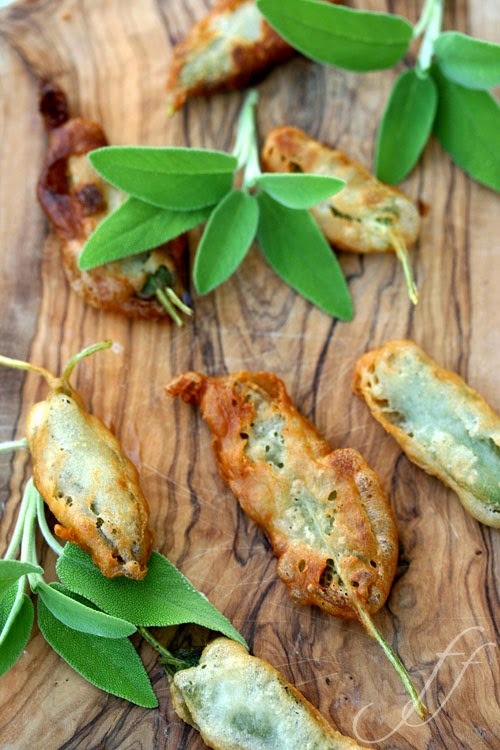 Sometimes I prepare the mice of fried sage that I like particularly stuffed with anchovy paste. Some people in the batter puts a whipped egg white, me I gave up for lack of eggs at home. Prepare a batter with flour, olive oil, salt and beer. The consistency should be semi-liquid. Wash and dry the sage leaves. Put a little 'of anchovy paste between two sage leaves, dip in batter and fry in hot oil. Enjoy this little Italian classic recipe!